Free for students, faculty, staff and alumni! The 5k begins at 10:00a.m. starting at Riverfront Field (south side of the Autzen Footbridge). 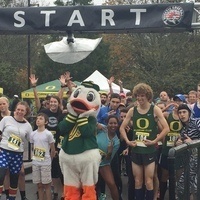 The 1k Kids Fun Run across Autzen Footbridge begins at 9:30a.m. for ages 4-12. $15 for community members to participate. Cash only for day-of-registration.